7 Churches In Istanbul Whose History And Architecture Will Sweep You Off Your Feet! Istanbul previously known as Constantinople is the most populous city in Turkey and historically been known as the bridge between the east and the west. This city is a transcontinental city that is situated both in Europe and Asia. The city was founded around 660 BCE and has been one of the most important cities in the Roman /Byzantine, Latin and Ottoman Empires. Being the key trading station on the Silk Road, this city has always been one of the most important cities of the region. This city attracts more than ten million visitors every year as it is a global historical center, a diverse modern city and a major economic hub in the region. Istanbul is a diverse and vibrant city and Turkey’s number one tourist destination. There are a number of tourist attractions in Istanbul and Istanbul is generally a part of the tourist circuit of the region. This cosmopolitan city is a great metropolis which grew over time and today Istanbul represents the culture, people, cuisine, art and history of the region. There are many historic landmarks in the city including, mosques, churches, cathedrals, museums, bazaars, palaces, hotels, forts and towers. Tourists visiting Istanbul are often advised to spend a few days in the city as this magnificent city has so much to offer to the tourist. There are luxury hotels as well as budget hotels for all types for different types of tourists. As mentioned above, a major attraction in Istanbul is its churches. 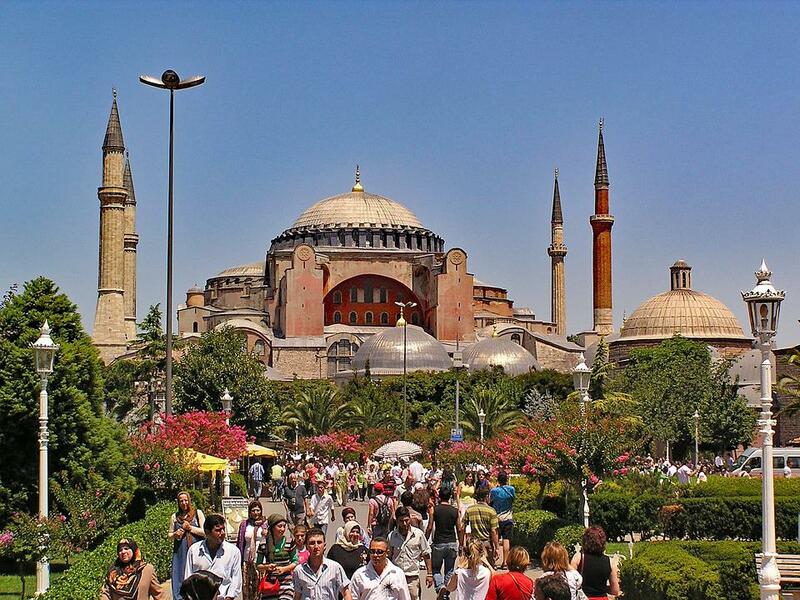 Hagia Sophia truly represents the multicultural history of Istanbul. Hagia Sophia was first a church, later it was transformed into a mosque and now is a museum and one of the main tourist attractions of the city. Hagia Sophia was built in the 6th century and is a marvel of the Byzantine Architecture of the time. It was one of the largest churches in the world for a very long time and is made of ashlar, brick and is decorated with mosaic and marble. 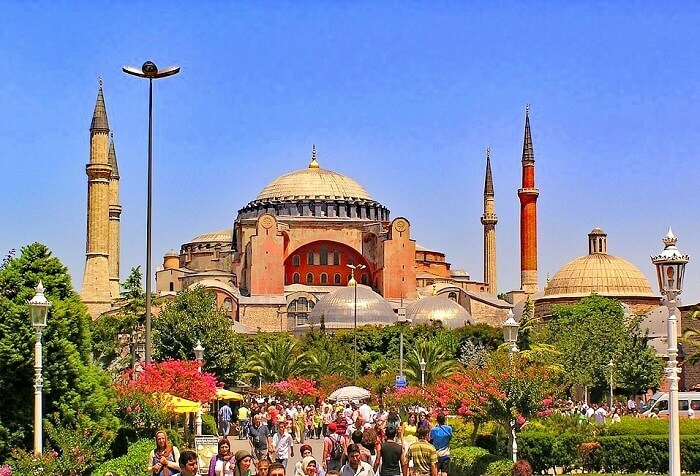 Hagia Sophia has been a Byzantine Christian Cathedral, a Roman Catholic Cathedral, a Greek Orthodox Cathedral, an Ottoman Mosque and now a museum for tourists to visit in the modern era. This UNESCO World Heritage site is visited by almost every tourist that visits Istanbul. 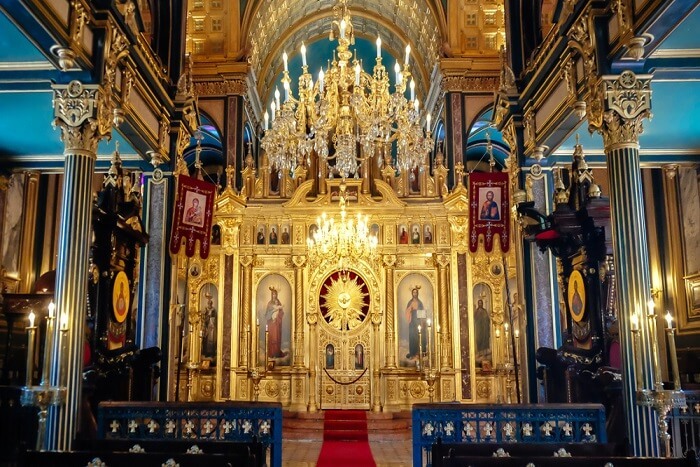 The Church of St. Savior or the Chora Church is a Byzantine Greek Orthodox Church in Istanbul. This church was built as a part of a monastery that was constructed outside the walls of the city of Constantinople. 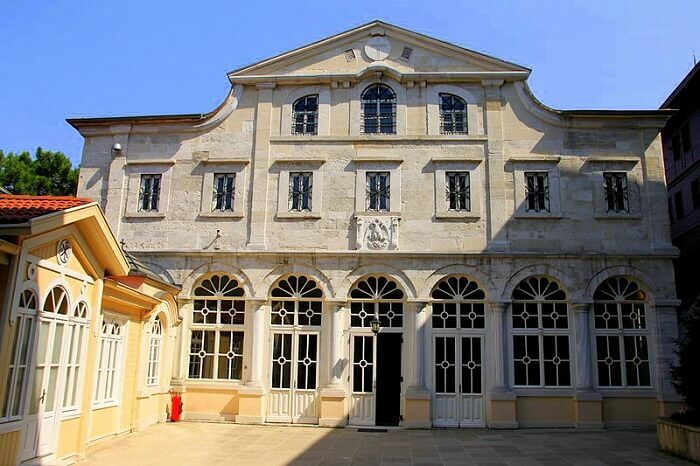 It was converted into a mosque in the Ottoman Empire and later became a museum in the 20th century. This church is known for its old mosaics and frescoes and the museum is today visited by locals and tourists in Istanbul. Suggested Read: 4 Best Wedding Venues In Istanbul For An Out-Of-The-World Experience! 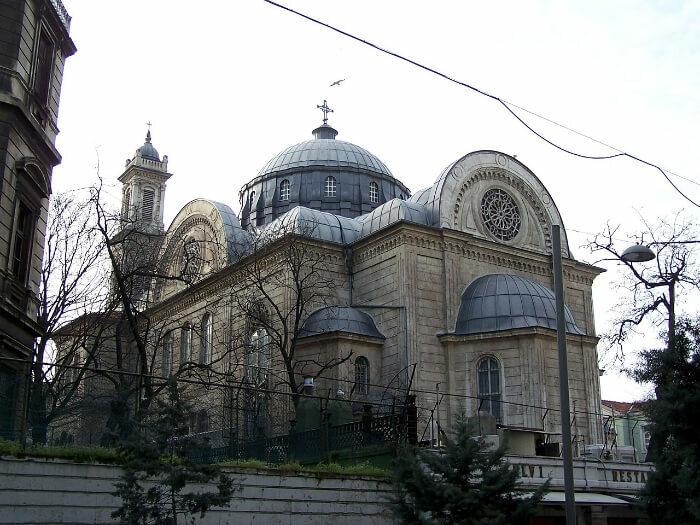 Church of St. George is a Greek Orthodox Cathedral in Istanbul. 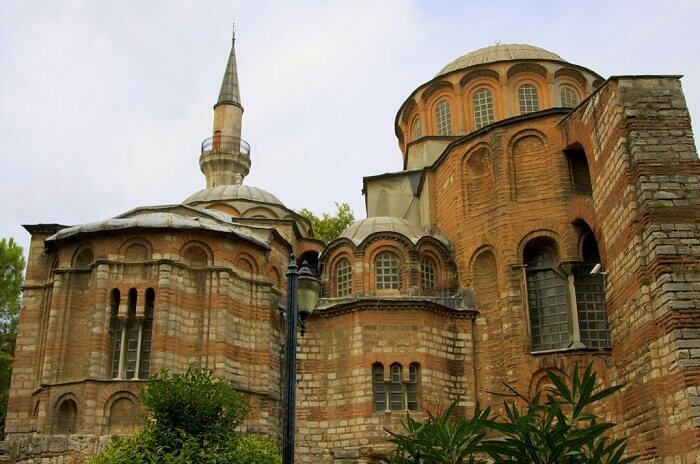 This church is located in the Fener district of Istanbul and has a vast collection of historical artifacts. This church is the seat of Ecumenical Patriarchate of Constantinople. Another popular church in Istanbul is St. Espirit’s Cathedral in the city. The Cathedral of the Holy Spirit is located in the Sisli district and is one of the main Roman Catholic churches in Istanbul. 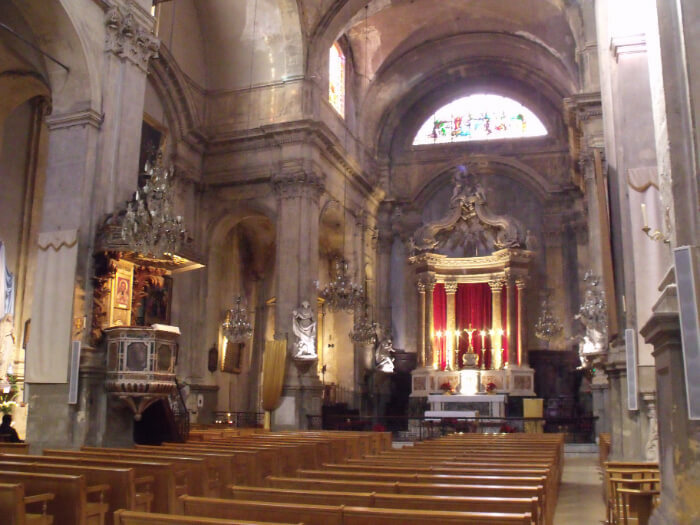 The church was built in the baroque style architecture in 1846 and has been visited by a number of Catholic Popes since it was built in Istanbul. Bulgarian St. Stephen Church is a Bulgarian Orthodox Church in Balat area of Istanbul. The church is also called the Bulgarian Iron Church because there are many cast iron elements in the design of this church. The Bulgarian St. Stephen Church belongs to the Bulgarian minority in the region and has neo-gothic style architecture. Church of St.Anthony of Padua is the largest Roman Catholic Church in Istanbul. The new building was built in 1912 and the original church was built in 1725 by the local Italian community. This church has great architecture and is designed in the Venetian new gothic style. It is the busiest and the largest church in Istanbul and it has historical importance as Pope John the XXIII preached at this church for ten years before being elected as Pope at the Vatican. Hagia Triada Greek Orthodox Church in Istanbul was built in 1880 and is the largest Greek Orthodox Church in Istanbul. 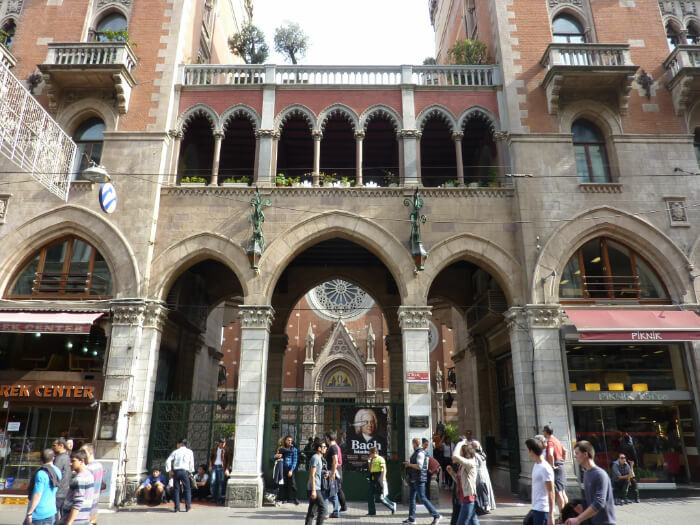 The church is located in the Beyoglu district near Taksim Square. The church is built in the neo-baroque style and has a beautiful high dome and two spires. 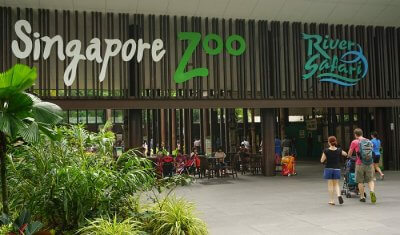 It is worth a visit for tourist looking to visit the architectural marvels of the city. Istanbul has a small Christian population but a well documented Christian past. This is the reason why Istanbul has many historical churches belonging to different denominations of the faith. 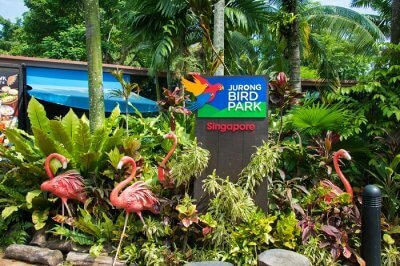 It is a truly global city with a culture that dates back to many civilizations. Istanbul’s Christian past is showcased beautifully in the city because of the various Christian landmarks in the city which have stood the test of time. 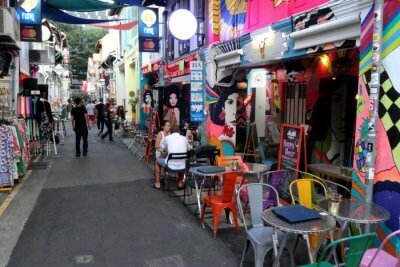 This is a multicultural city that is a top choice for tourist all over the world. Generally, this major city in Turkey is included in the tourist circuit of the region. So, when are you planning to visit? Pack your bags and book your trip to Istanbul with TravelTraingle to dive in the ambience of these serene churches!